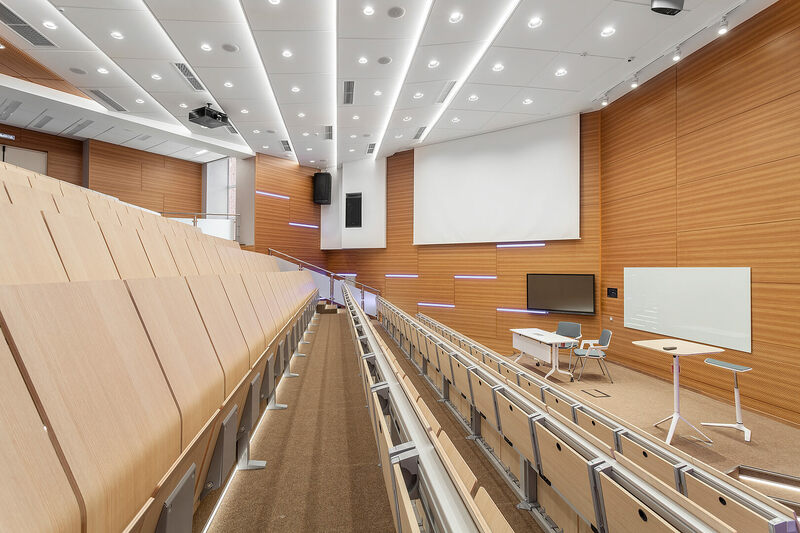 The renovation project of lecture rooms of the main university in occidental Siberian Russia strengthens the role of LAMM as leading company in the field of education seating systems. 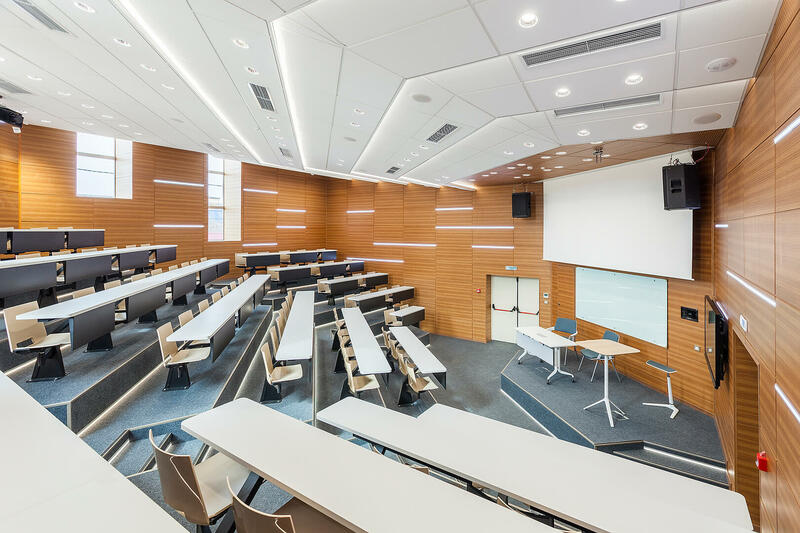 LAMM has recently completed the installation of its study desks at “Tyumen State University” in occidental Siberian Russia. The university founded in 1930, which currently boasts more than 27,000 students, has undergone a very important restructuring and upgrading process in the last months, also thanks to the participation in 5-100 project, a government programme conceived to improve Russian higher education system. 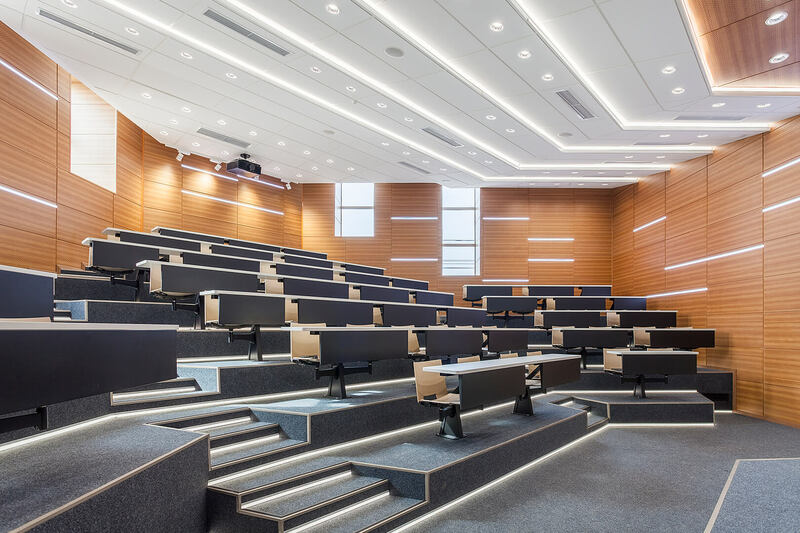 The installation of LAMM’s seating systems has contributed significantly to design lecture rooms according to the new and changing needs of the Institute of Physics and Technology and the Institute of Economy and Finance. L300 lecture room in the Institute of Economy and Finance is the biggest room of the campus with a capacity of 180 people. In this context, E5000 study desks have been installed on steps in the wood version with tip-up foldaway top provided with cable trays under the top. The same on step arrangement has been envisaged for ST 12 desks in the Institute of Physics and Technology. 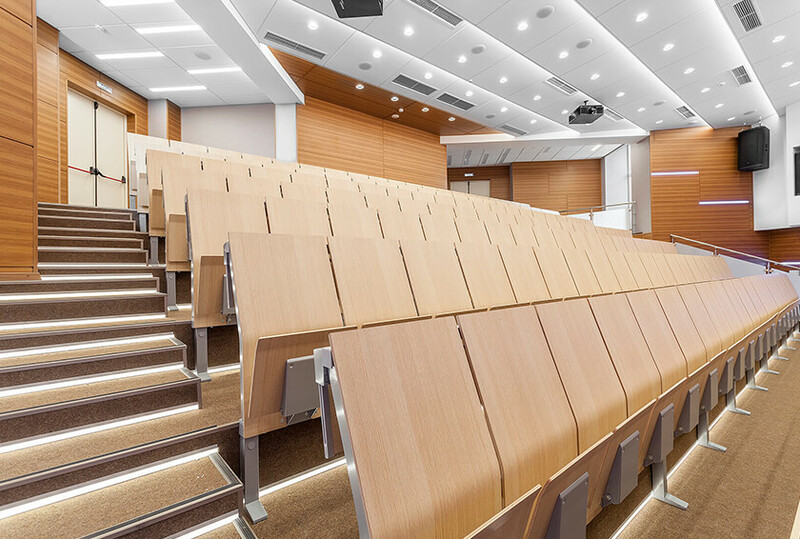 The monobloc system with HL3 seats, chosen in the plastic version, has been placed in the middle of the third room with high multimedia content of the campus.